When we first opened the doors of the Auld Shillelagh in 1991 it was just a tiny pub consisting of the bar, some bar stools and a single toilet with a dart board on the door. 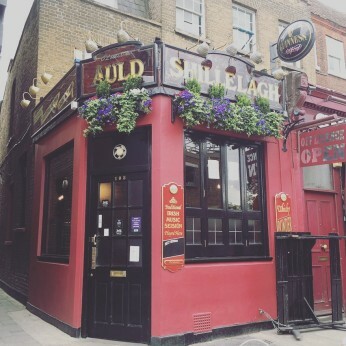 From the start we were determined to create a traditional pub with well kept beer, a friendly atmosphere, professional bar staff, and to serve the best Guinness in London. Over 20 years have passed and the pub is now 3 times longer with a beer garden out the back that faces the sun for most of the day, we have live music every week and show all the major sporting events on multiple big screens. We also still take pride in looking after our beers, the Guinness is regularly touted by reviewers and customers alike as the best in north London, the atmosphere is friendly and welcoming and we would put our bar staff up against the best of them.